An overwhelming majority (82 per cent) of people in the UAE think that the Smart Dubai Initiative will make Dubai the happiest city in the world, according to new research revealed by an international data and analytics group YouGov. The Smart Dubai initiative founded following the vision of Sheikh Mohammad bin Rashid Al Maktoum, the Vice President and Prime Minister of the UAE, and Ruler of Dubai, aims to make Dubai the smartest city on earth through the use of technological innovation. The adoption of advanced transportation modes such as hyperloop and flying taxis – designed to reduce traffic congestion – comes out on top in this respect, with more than nine in ten (92 per cent) believing it will have a positive impact on their lives. Almost as many (89 per cent) feel the same about ensuring food security and the movement towards a decentralized energy system is believed to do the same (also 89 per cent). More than eight in ten (84 per cent) feel the use of artificial intelligence in all government services and city experiences will have a positive impact on their personal lives. People feel the same about changes in the government processes (paperless government, blockchain powered government) as well as the startup support offered under this scheme. Even the initiative that scores the lowest – advanced technology in the police force, still scores highly with the public, with around eight in ten (79 per cent) UAE residents believing it will improve their quality of life. YouGov’s research also explored the outcomes UAE residents expect to see as a result of the Smart Dubai initiative. Three in ten (30 per cent) think there will be time benefits (such as reduced travel time, faster processes etc. ), while about as many (29 per cent) think it will make things more convenient as all government processes will be transferred online. 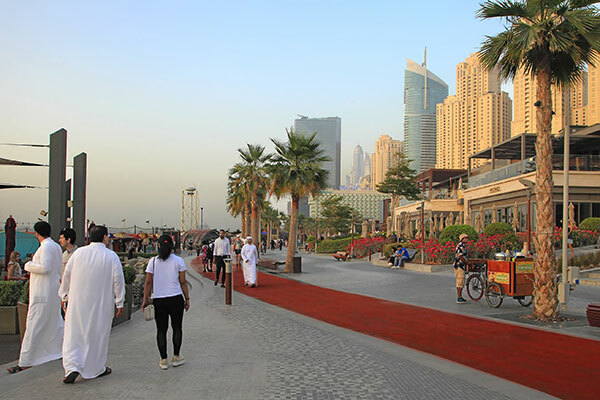 Around a quarter expect it will improve the quality of life (26 per cent), make Dubai more secure with a reduced crime rate (26 per cent) and will deliver better connectivity between cities (24 per cent).